Borrowing techniques from the laboratory, pioneering chefs at world-renowned restaurants such as elBulli, The Fat Duck, and Alinea have incorporated a deeper understanding of science and advances in cooking technology into their culinary art. The goal of the Modernist Cooking movement is to examine the foods we eat, and our perceptions of that food, and try to make things that taste great, and perhaps even engage us on an intellectual and emotional level. In Modernist Cuisine: The Art and Science of Cooking by Nathan Myhrvold, Chris Young, and Maxime Bilet - scientists, inventors, and accomplished cooks in their own right - have created a six-volume, 2,400-page set that reveals science-inspired techniques for preparing food. It is a landmark contribution to the craft of cooking and our understanding of its underlying principles. The authors and their team at The Cooking Lab have achieved astounding new flavors and textures by using tools such as water baths, homogenizers, centrifuges, and ingredients such as hydrocolloids, emulsifiers, and enzymes. If you are a serious home cook, then using this cookbook set is going to take you into a level few achieve. 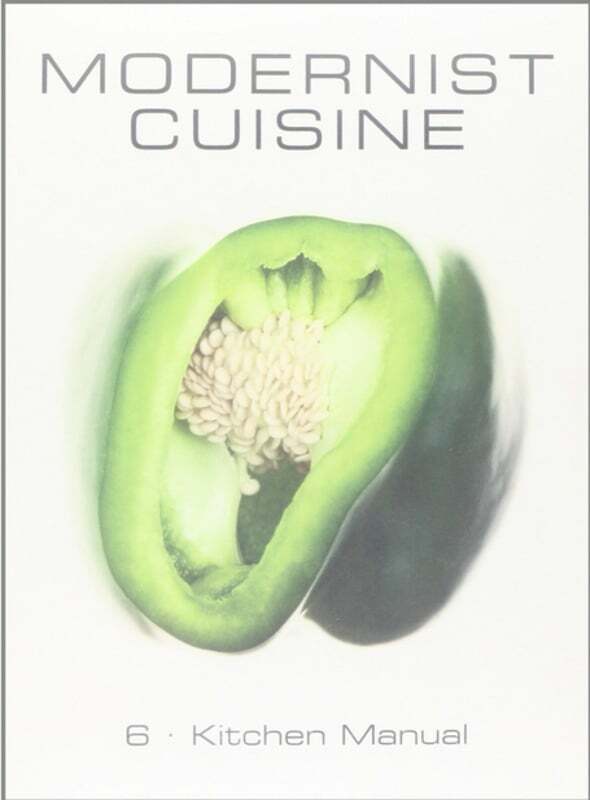 If you are interested in culinary innovation, this book also takes you across new frontiers. Modernist Cuisine is enthralling if you are science-minded, but it is written with enough clarity that even the less inquisitive can learn something from it. However, if you hated chemistry/physics in school, this book is not a good choice for you. Many of the recipes are very challenging, but some are simple for the experienced home cook. Some recipes can only be made using very expensive equipment, which is not particularly practical for the home cook. The breadth of information covered in Modernist Cuisine is amazing. Besides the large quantity of clear, concise information, the stunning photography of the equipment and ingredients, graphic design and even printing gives the book a "coffee table" type quality.